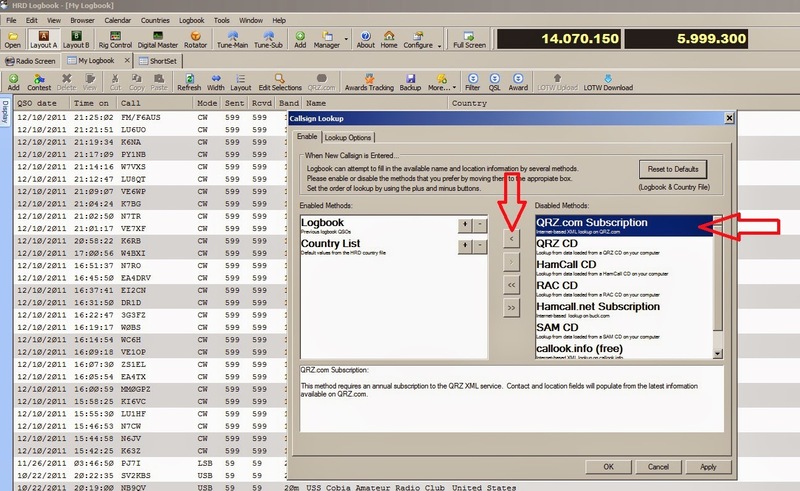 The following screen shots show the steps to "connect" HRD and QRZ to enable call sign lookup. 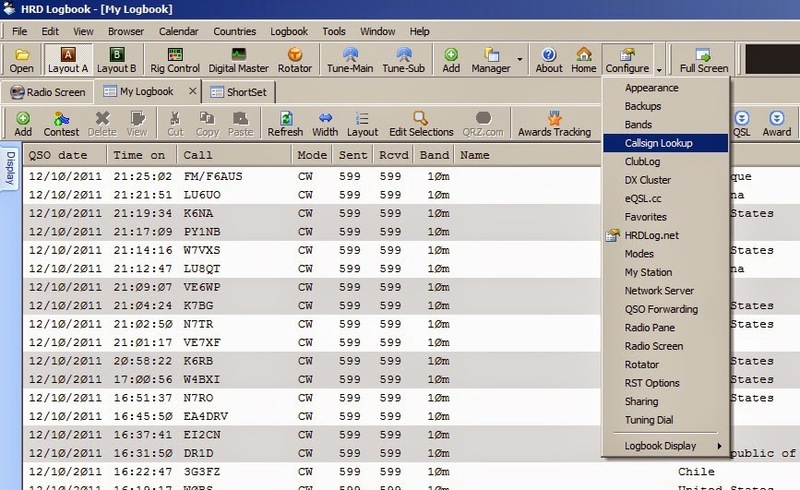 Go to HRD Logbook and select Configure from the main menu and then click on Callsign Lookup from the pulldown. 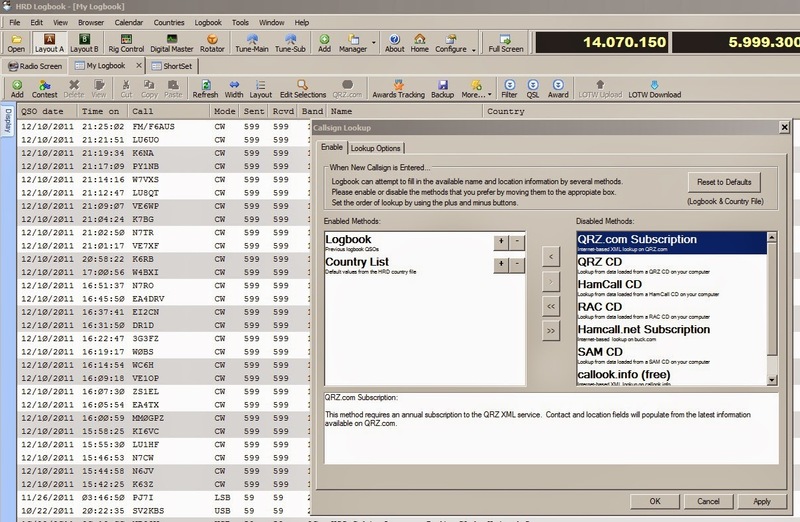 When you click on Callsign Lookup, the following dialog box will appear. 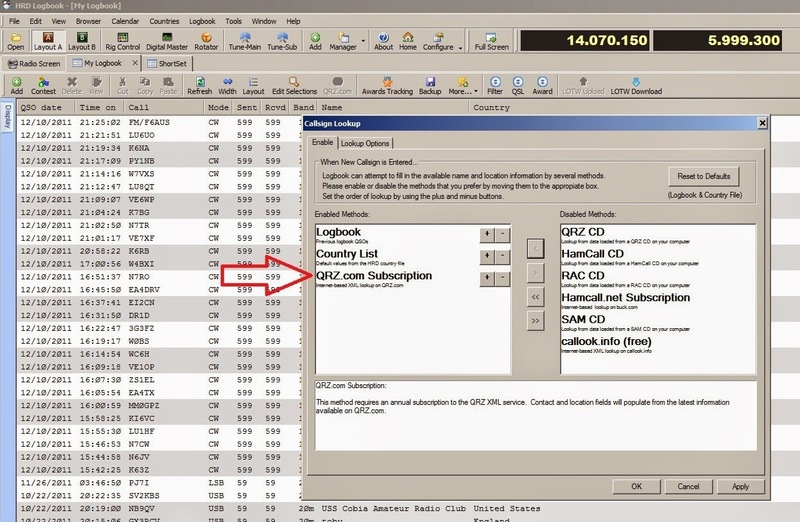 Select QRZ.com Subscription on the right hand side. Now click on the "less than symbol" as shown below. 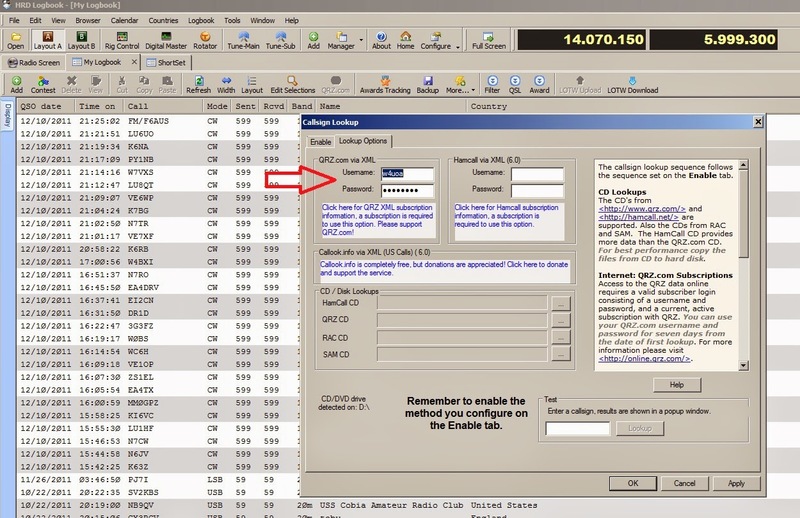 This will add QRZ.com Subscription to the "Enabled Methods:" as shown below. The final step is to be sure you provide the login information on the "Lookup Options" tab as shown below. For those of you who try this, let me know how it works. I'm good in QRZ.